Orthopedic Medical Center (Westlake Village) - Book Appointment Online! 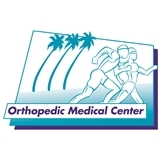 Welcome to Orthopedic Medical Center located in Reseda, and Westlake Village. We serve the San Fernando Valley and Southern California and specialize in arthroscopy, sports medicine and joint reconstruction and aims to restore function and activity to patients with individualized care. For more than 20 years, Orthopedic Medical Center has been helping patients achieve quicker recoveries while, at the same time, making them feel special. Our skilled physicians and surgeons are each well-trained in their specialties to provide you with the finest orthopedic care. We also offer unsurpassed convenience. I think he is a great doctor . I would see him again!